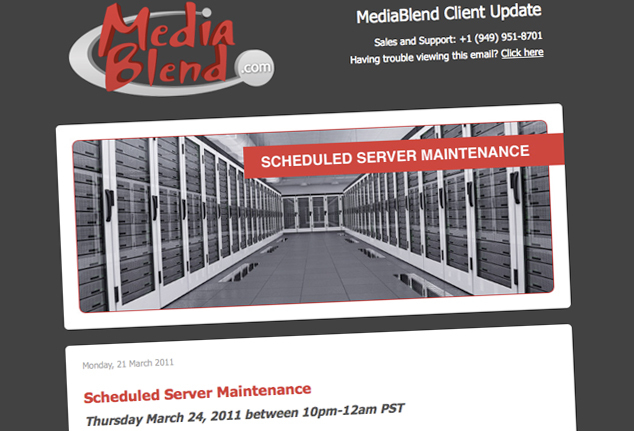 This email newsletter was designed for mediablend.com to communicate an upcoming server outage to its hosting clients. Created using HTML and inline CSS, this email was tested to work across multiple browsers which included Firefox, Safari, Chrome, Internet Explorer and Opera (both Mac and Windows) as well as popular email service providers which included Gmail, Yahoo, Hotmail, AOL and Outlook. 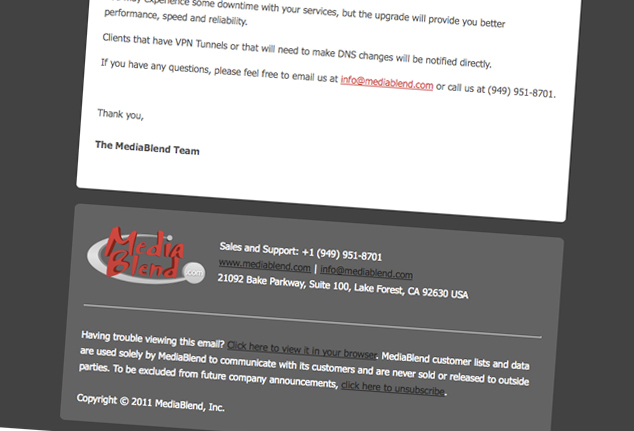 MediaBlend specializes in professional web design, online surveys, ecommerce and business websites. 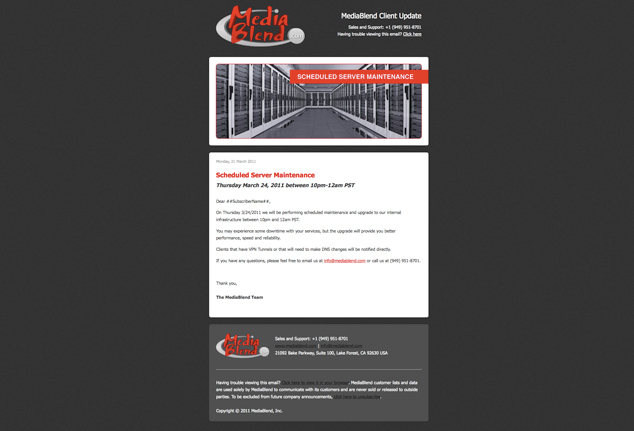 Additionally, MediaBlend offers custom web design, custom programming, spam & virus filters, email hosting and more.